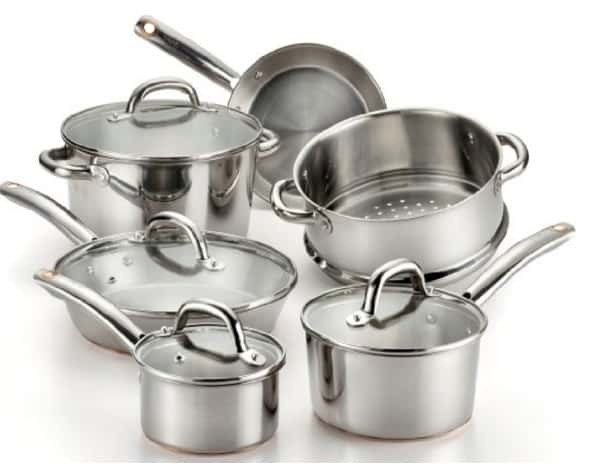 The T-fal C836SA Ultimate Stainless Steel Copper-Bottom Heavy Gauge Multi-Layer Base Cookware 10-Piece Set is on sale for $99.99 at Amazon right now. That's 55% off the list price of $199.99! You can also get the 13-PIece set for only $129.99!